I invite you to follow my hashtag above over on Instagram, please! I had a lightbulb go off over there last month. (you are going to say...ummmDUH..in your best middle school voice). 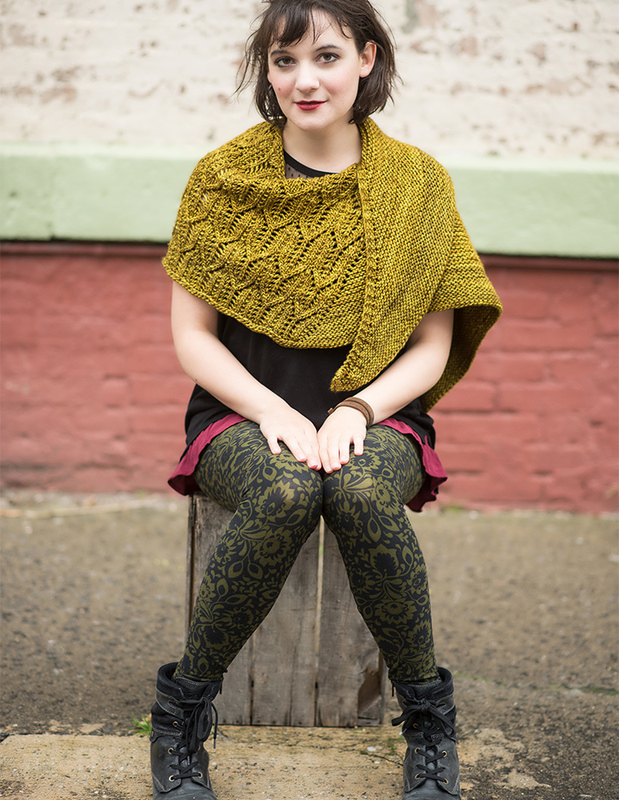 1) Westminster Shawl by Toby Roxane Barna, from her book Design Doubles. That's Toby herself, modeling. We started planning this photo shoot in 2015, shot it in 2017 and it just came out! 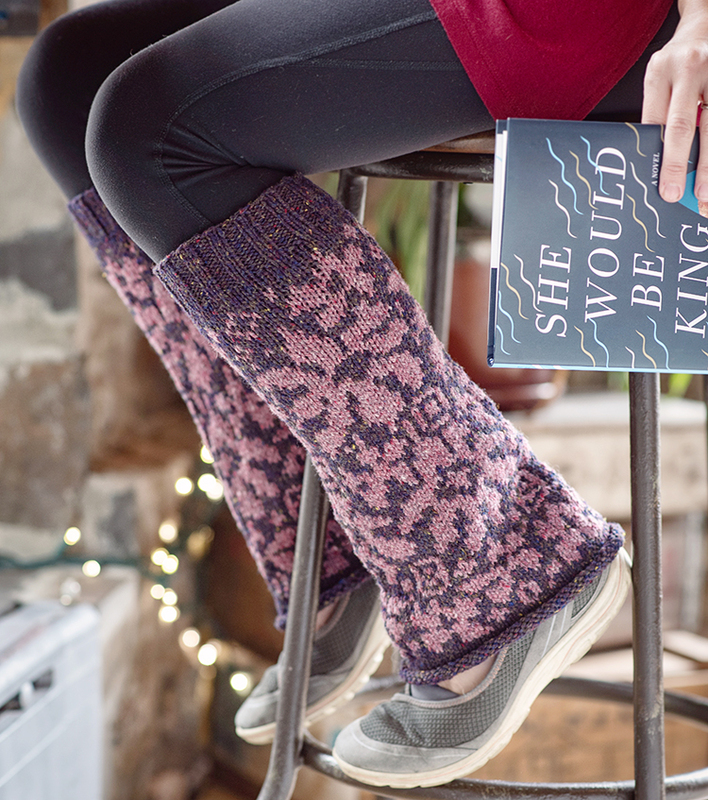 (the book pairs sweater and shawl designs that use the same motifs or stitch patterns but in different ways). 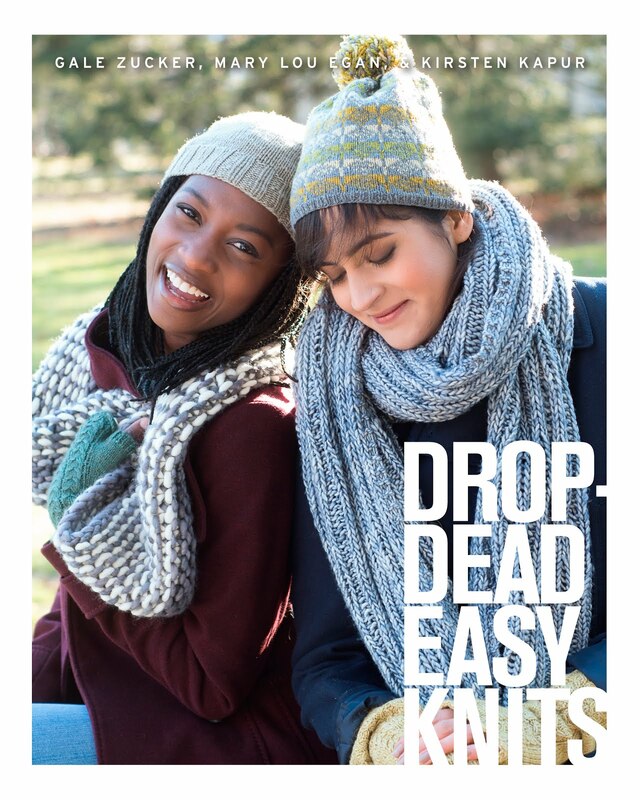 This one is knit in bulky yarn--I'd wear it as a scarf. I spend a majority of my work hours photographing, planning/prepping/proposing to photograph (or post production editing ) handmade knits. or related subjects. I'm immersed in knits and images and yarns I am dying to show you but can't till they are released, months or even years later. 2) Legwarmers in Berroco Millifiori Big. These were shot in spring 2017. At the time, all I wanted to think about was the end of winter! But this week? So fresh and YES! I realized I should just post what is newly released, or whatever calls to me seasonally or by mood or style. More often than not I love revisiting the photographs separate from the context of the work day we shot it in. . I'm not making the blog a priority these days but I'm not giving up--just showing up when I can. Meanwhile I hope you'll say hi on Instagram or wherever you find me. * I'm going to be a sheep peep helping my friend Anne Lahners at her Olympia Farm booth at the NE Fiber Festival of New England in Massachusetts this weekend on Saturday Nov 3 (it continue son Sunday Nov 4) . Please swing by and say hi if you attend! I am looking forward to it like crazy. That shawl is beautiful and what a great color! I can see Hannah wearing those legwarmers. Lovely knitted items! 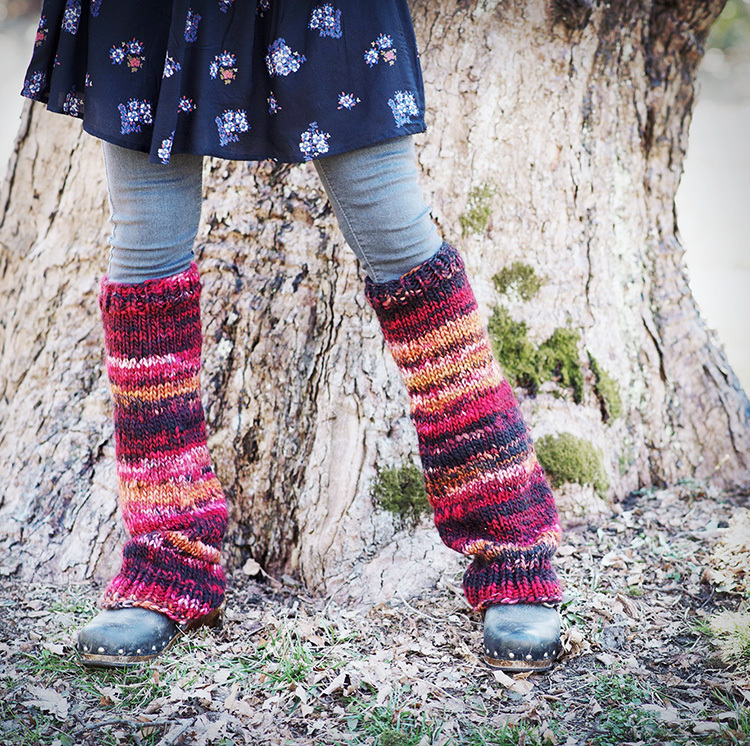 The the shawl's color and the idea of boot cut leg warmers. Every single knit... just perfection!